I recently went to visit my family in Eastern France and we spent one morning in the thermal and leisure center in Amnéville, quite close to Metz. 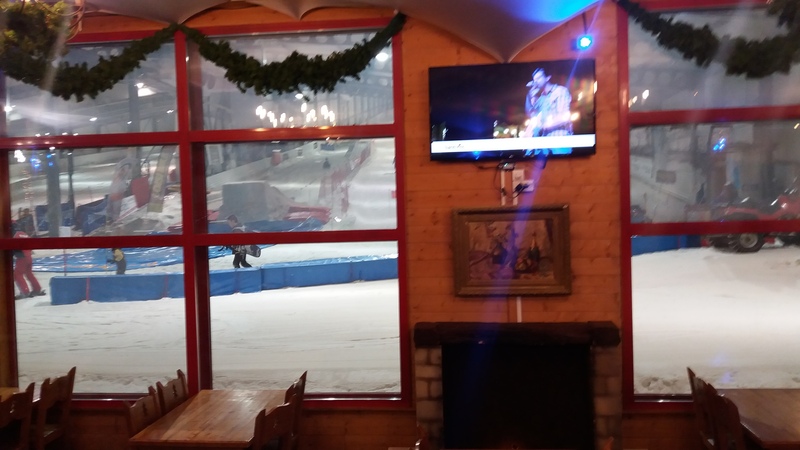 After some time in the thermal pool, I went for lunch with my parents at Le Chalet, the rustical restaurant of the snowhall, an indoor ski piste. They specialize in cheese and mountain food. 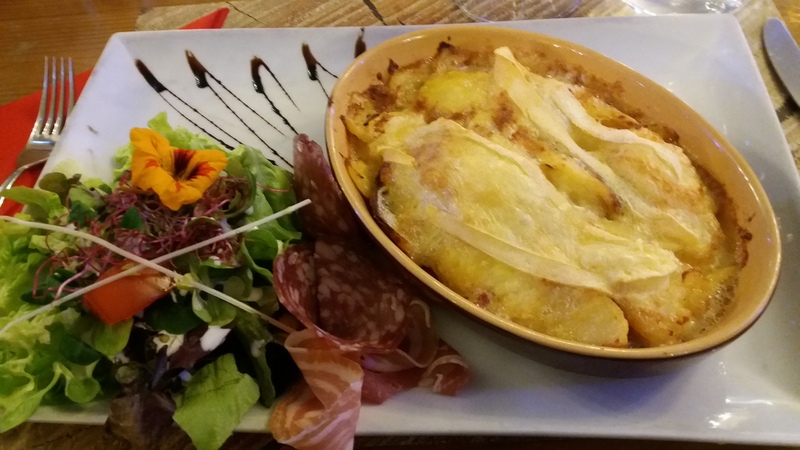 Raclette and fondues look good but I had a tartiflette (potatoe gratin with tasty mountain cheese) which was quite good and comes with nice cold cuts. 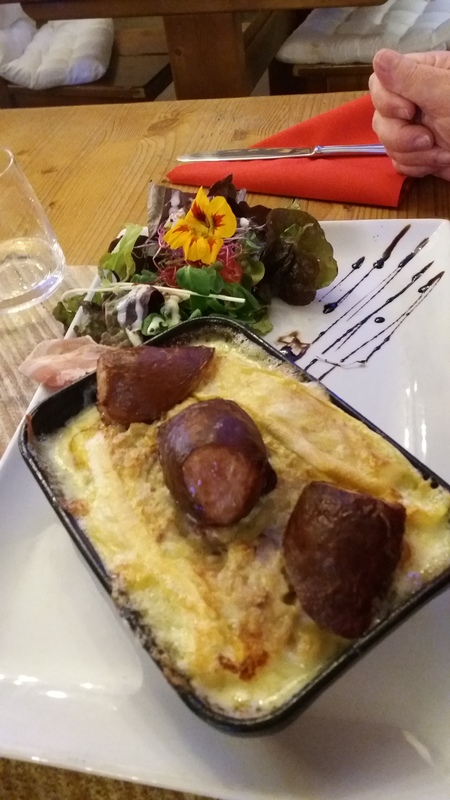 My mum had the morteau sausage on a crozet gratin (savoy pastas with reblochon cheese), the sausage was a bit dry on the outside but otherwise all was good. 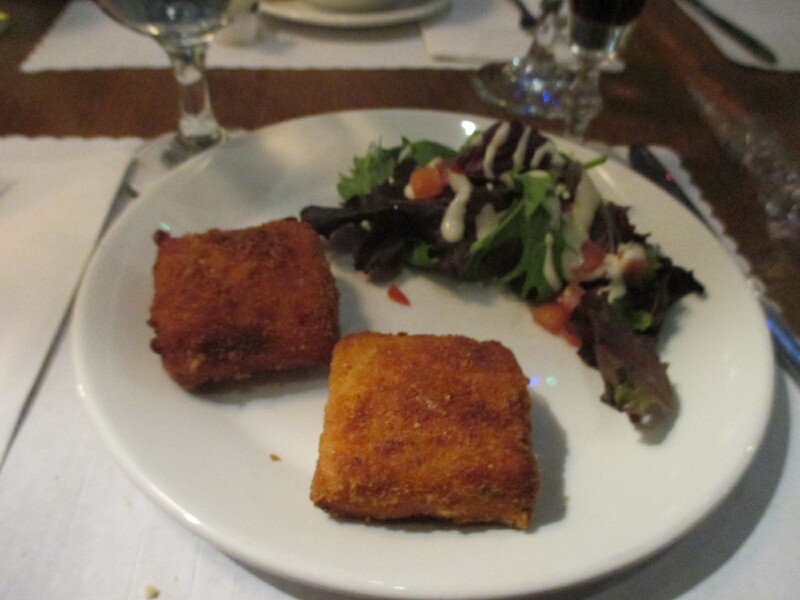 My dad had the piece of pork leg with munster sauce and enjoyed it a lot. Service was good. Very friendly staff. Good prices. A nice option in this touristic area. Categories: Amnéville, France, Ze Rest of the World | Permalink. 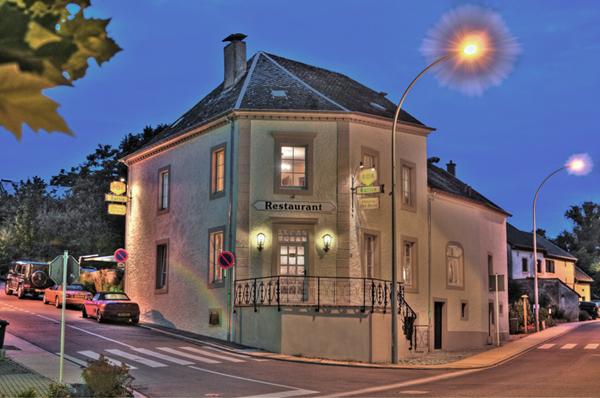 Le Saint Pierre is a restaurant-bar in Metz, in the district Le Sablon, not very far away from the rail station. 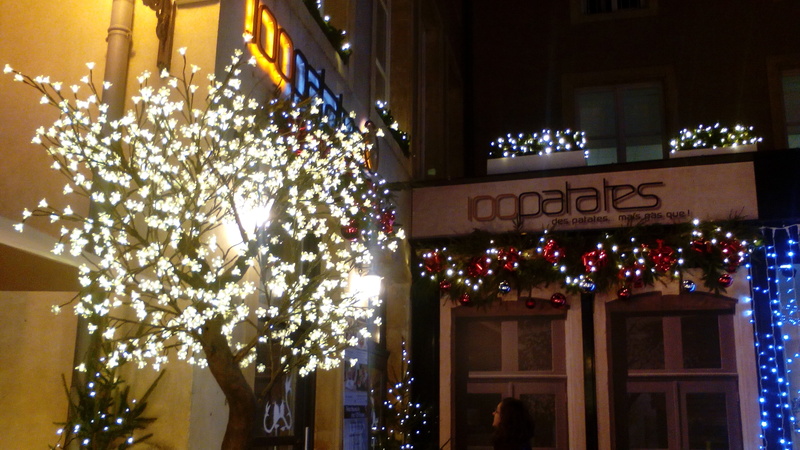 I went there when I first arrived in Metz for a family visit. My parents go from time to time for lunch to this nice place. 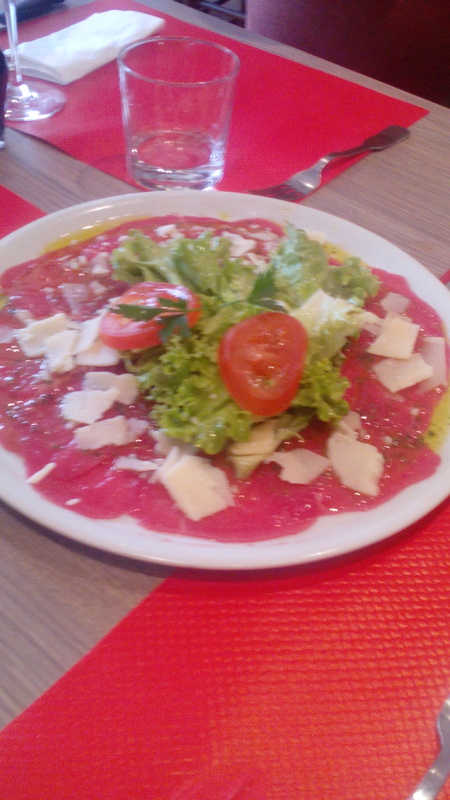 The staff is extremely friendly, the food is tasty, we had a beef carpaccio to share for starter, really nice, I had the burger which was real tasty, with the beef patty cooked rare as I asked, my sister liked her beef steak and the sea food risotto was apparently quite nice too. 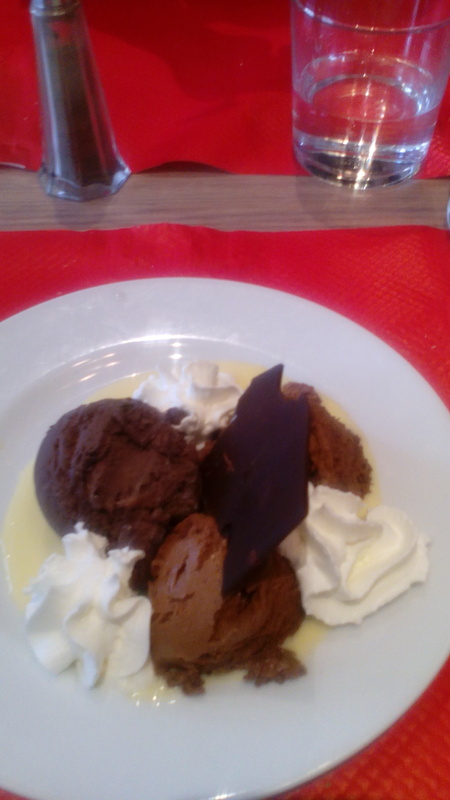 For dessert, I had the chocolate mousse which comes with chocolate ice cream, delicious. Prices were fair, quite a nice place indeed. Categories: France, Metz, Ze Rest of the World | Permalink. 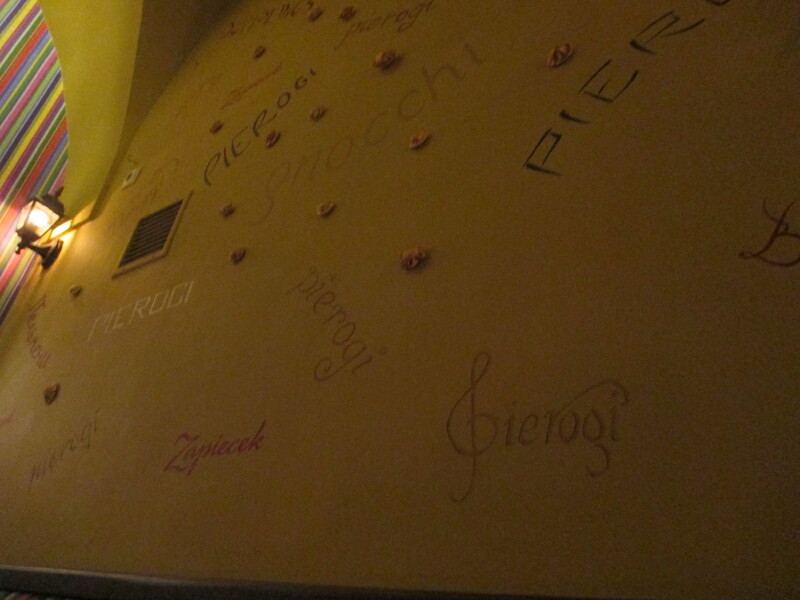 I went to Zapiecek on Świętojańska on the recommendations of my hotel’s staff when I asked where to get good pierogi. It is very small, I don’t know if they take reservations, but if you’re a group, it might be better to try to book. The staff is very friendly. 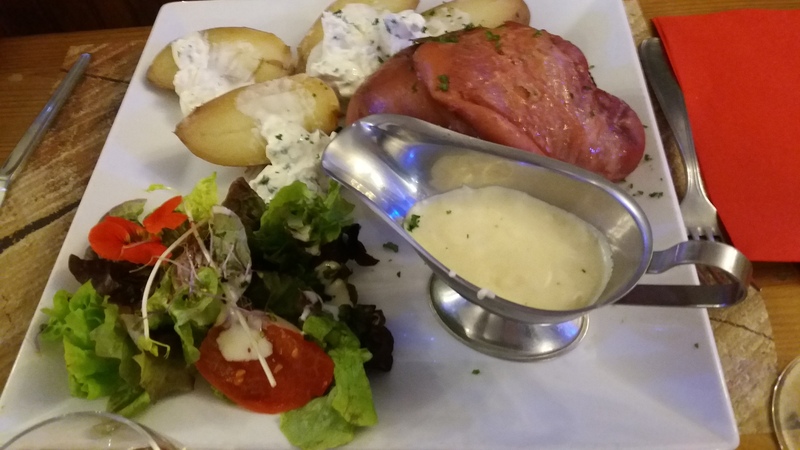 I loved it so much I went twice during my short stay in Warsaw, I tried the simple meat ones (they can be blend with no topping, so choose wisely), the Russians (potatoe and cottage cheese) with bacon and the ones with camembert and blue cheese. Those were awesome! So awesome I took a big portion of those on the 2nd dinner, I tried with the strawberry sauce they recommand, but I definetely am not into sweet and savoury (but it comes on the side, so it’s fine). 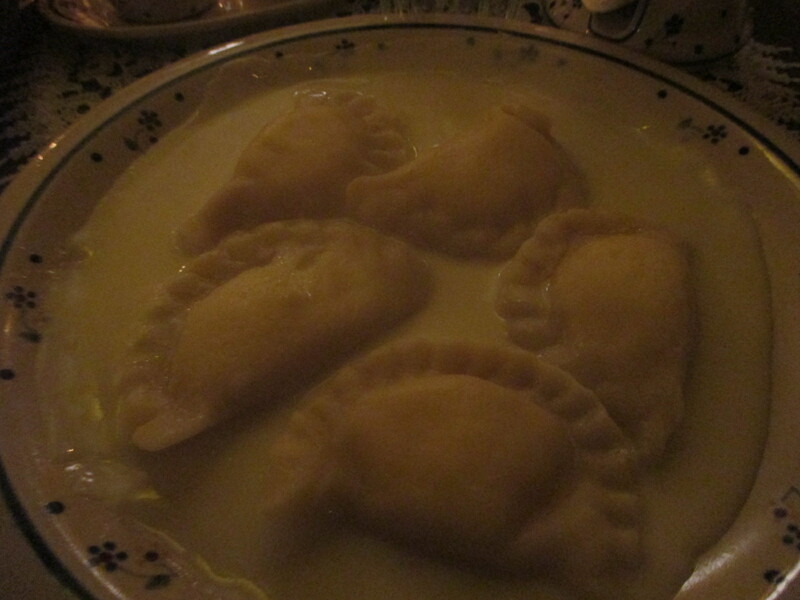 I also tried some sweet ones, with cottage cheese in vanilla sauce, but it wasn’t the best combination. 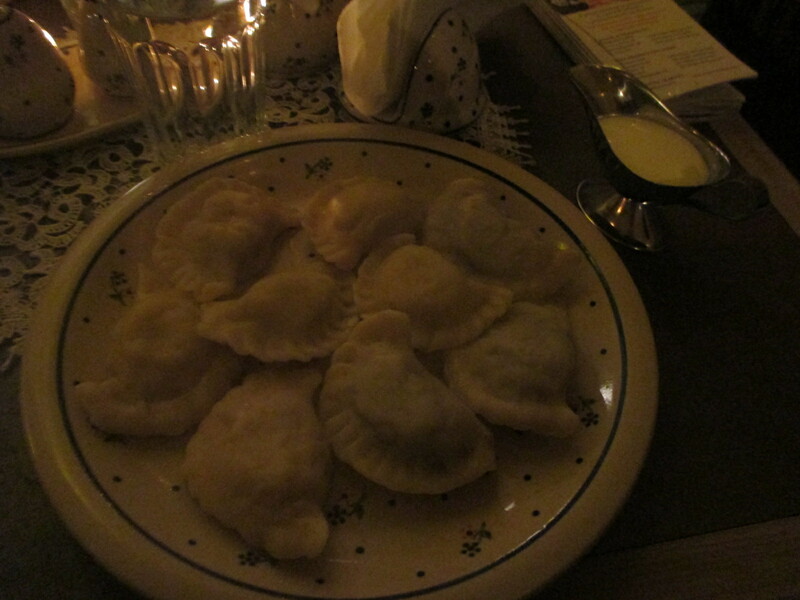 To sum up, this place is great for pierogi! Categories: Poland, Warsaw, Ze Rest of the World | Permalink. 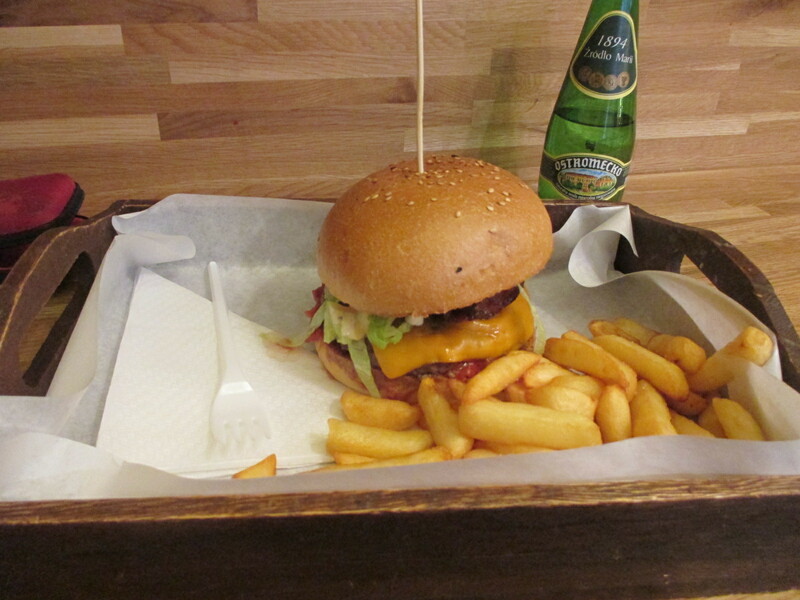 Somehow it’s always when I come to Poland that I have the best burgers. 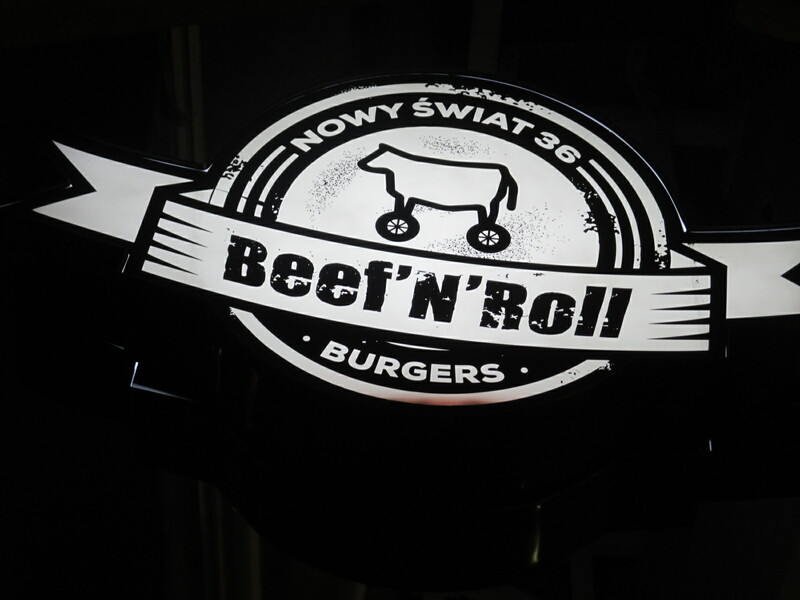 While sightseeing in central Warsaw, I passed by Beef ‘n’ roll a couple of times, but never during eating times, it looked interesting, I looked it up online and the good reviews convinced me to go there for dinner. I read they were first a foodtruck and were so successfull they opened this burger joint, which is a good sign I guess. I had the cheeseburger with bacon and it was delicious! The patty was cooked medium rare, perfect for a burger, the bun was also very tasty, the bacon crispy, the lettuce fresh and the sauce quite interesting. Perfect! The staff is also very friendly. Great place for a burger in Warsaw! 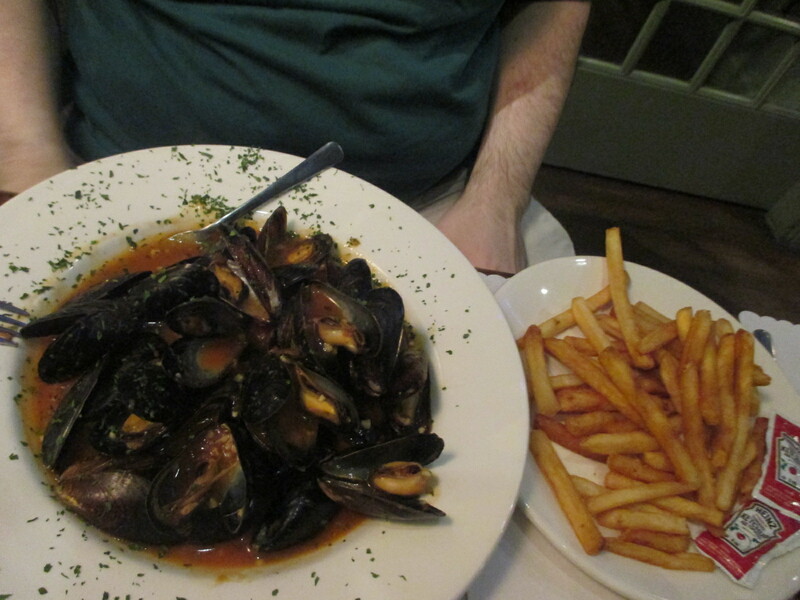 The menu looked interesting and decent prices (at least for Québec which is super expensive). We were warmly welcomed and quickly served. 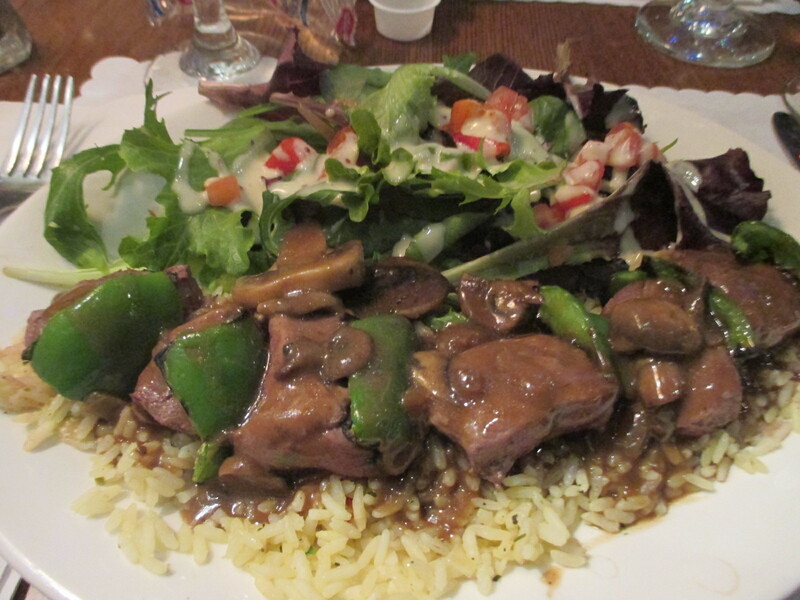 The food was tasty, nothing mindblowing but nothing to complain about either. 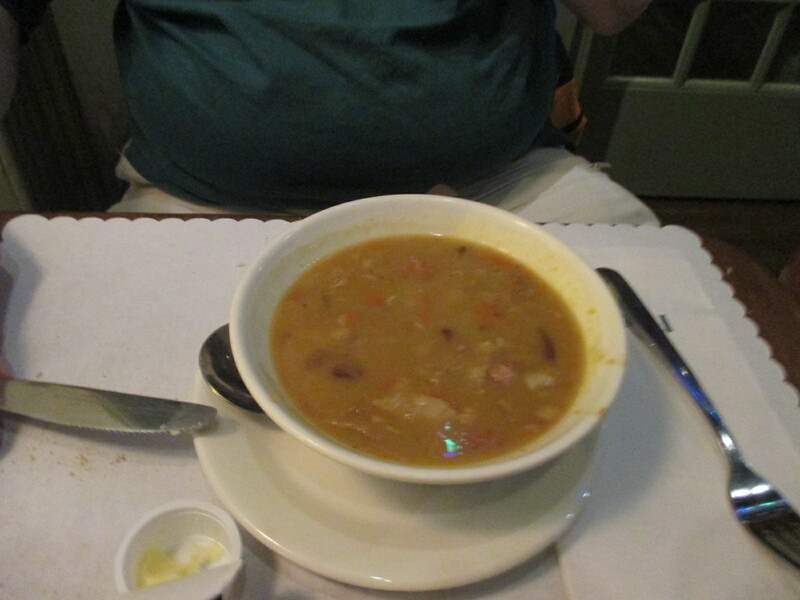 Well, my friend could have just complained about the bacon in his pea soup, it was not written on the menu and he doesn’t eat meat. But other than that, nice, my beef was cooked as wished. Nice place. Categories: Canada, Québec, Ze Rest of the World | Permalink. 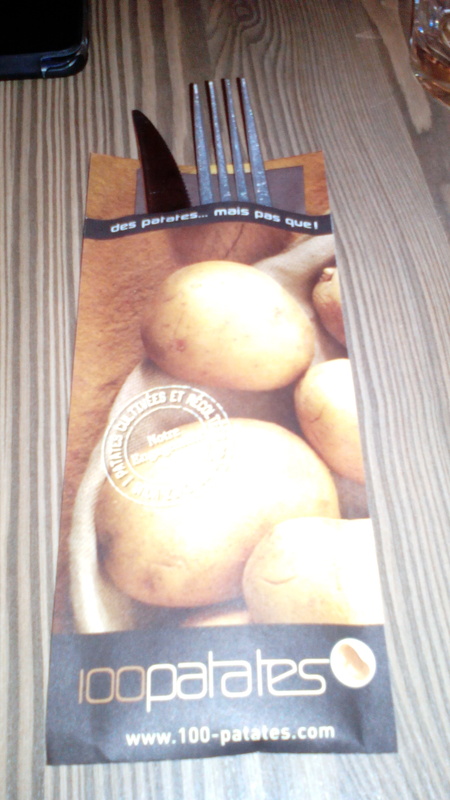 100 Patates is a restaurant in the centy center of Thionville. As you can guess from the name, it’s all about potatoes. 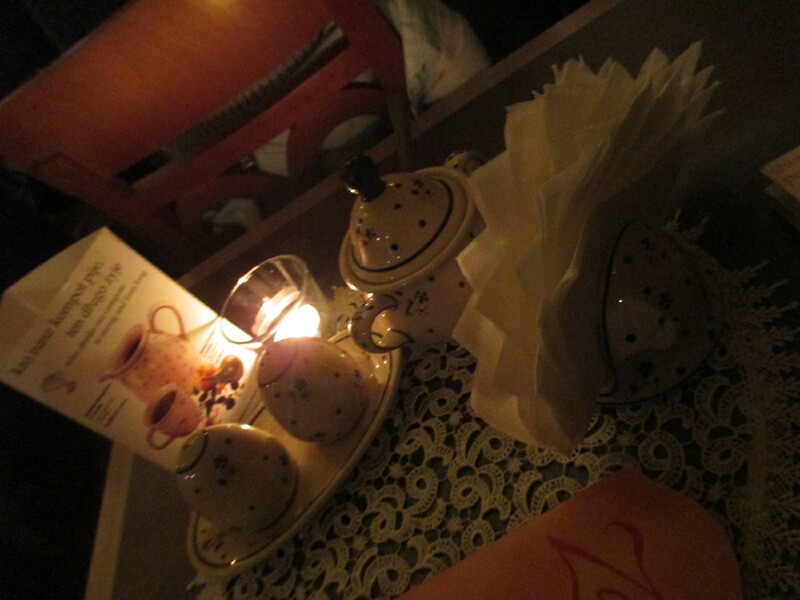 I went there with some friends and we had a lovely evening. 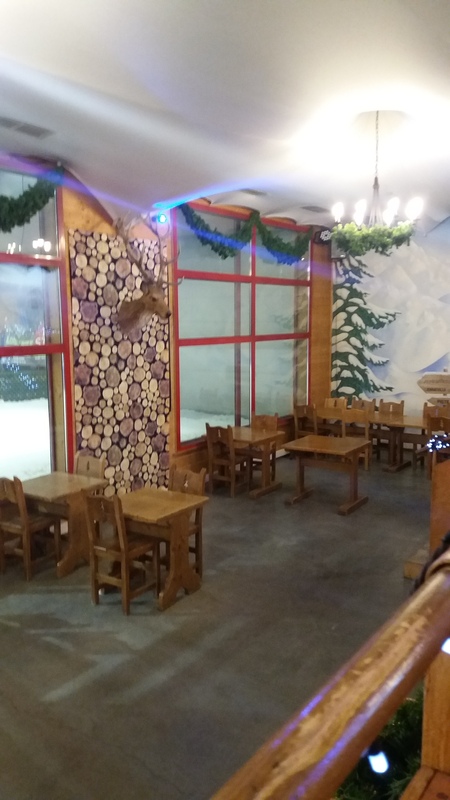 The atmosphere is cosy and the decoration all around potatoes, quite nice. 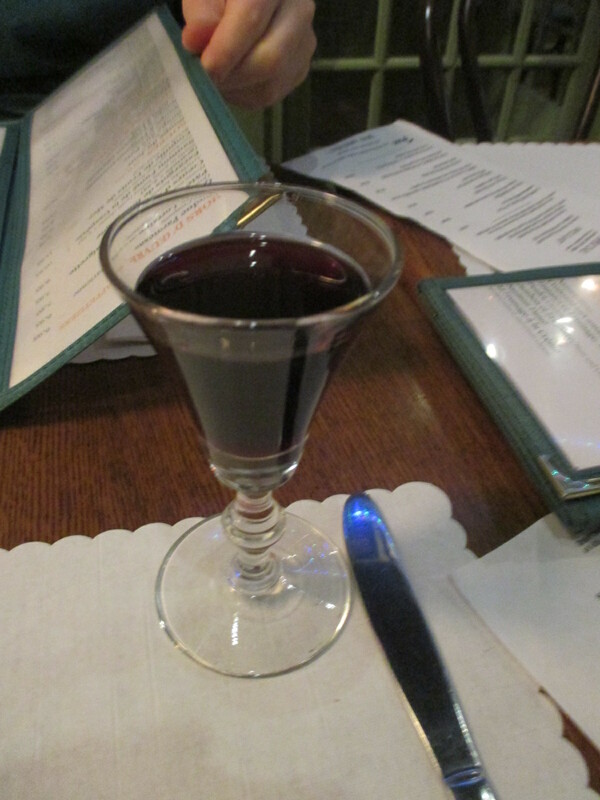 The staff is quite friendly and the menu very appetizing. I had a hard time chosing what to have. 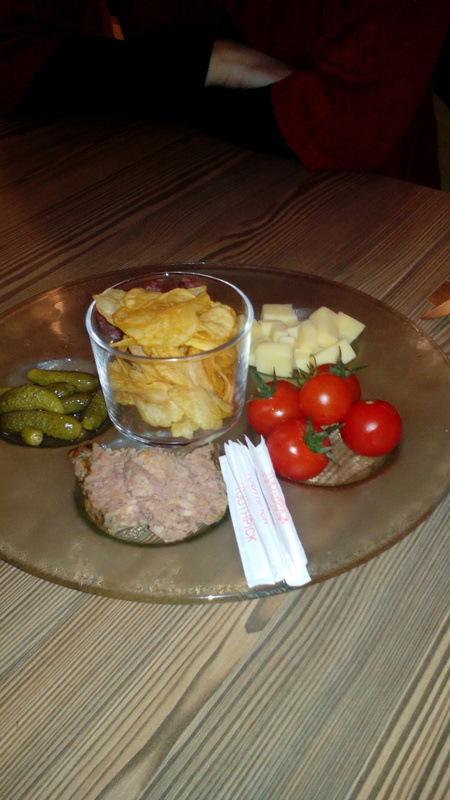 We started with a nice “apero” plate with some cheese, chips, pate, salami, pickles and tomatoes. 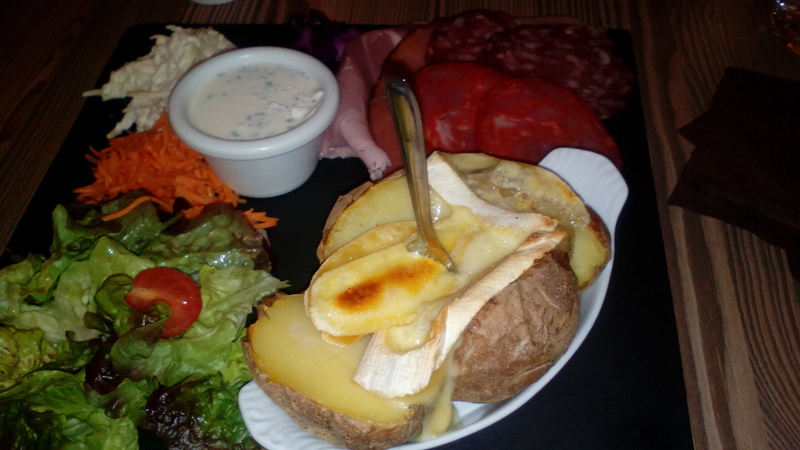 I then had an oven baked potatoes with reblochon cheese on top and some cold cuts on the side. It was great, all ingredients were very good quality. 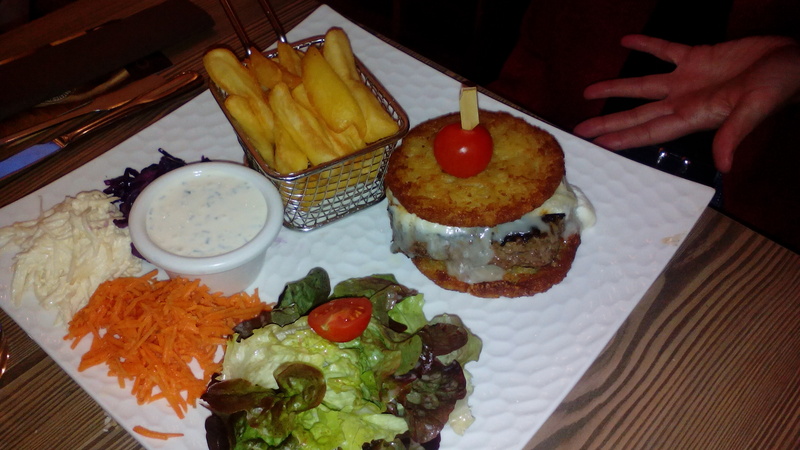 A friend had the burger, but not the kind you can eat with your hands, there is a delicious beef patty topped with goat cheese (you can choose from different cheeses) between two rösti, I tried it as well and it tasted really good. 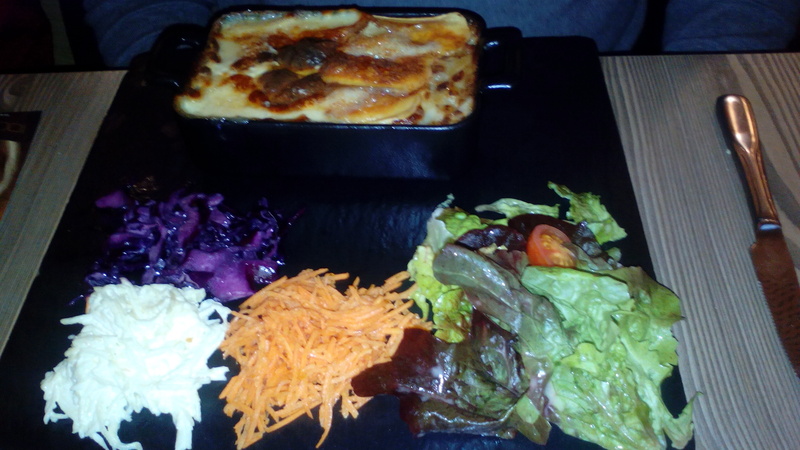 My other friend had their tartiflette and was happy too. 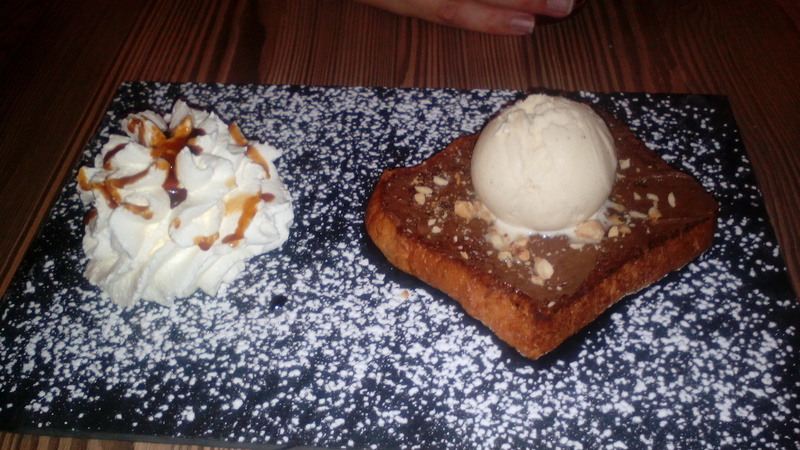 I was the only one who had dessert and I really loved their brioche French toast style with nutella and vanilla ice cream. Delicious. Really good food for a very fair price. 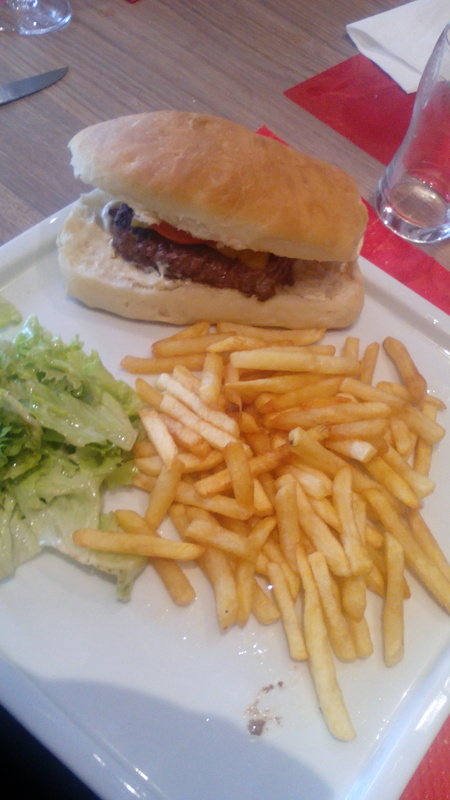 I might go again next time I’m in Thionville. Categories: France, Thionville, Ze Rest of the World | Permalink.